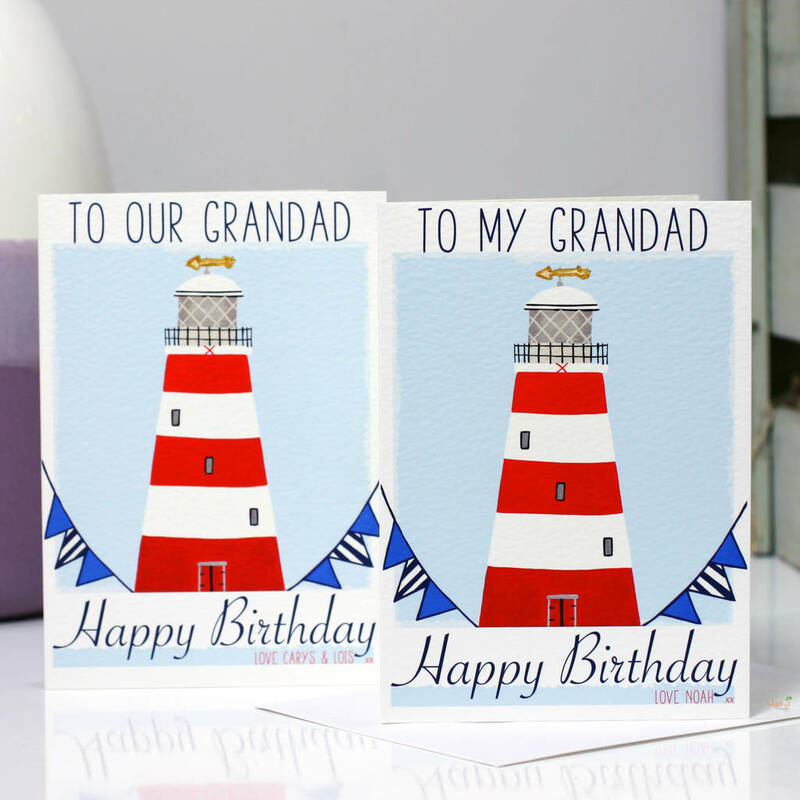 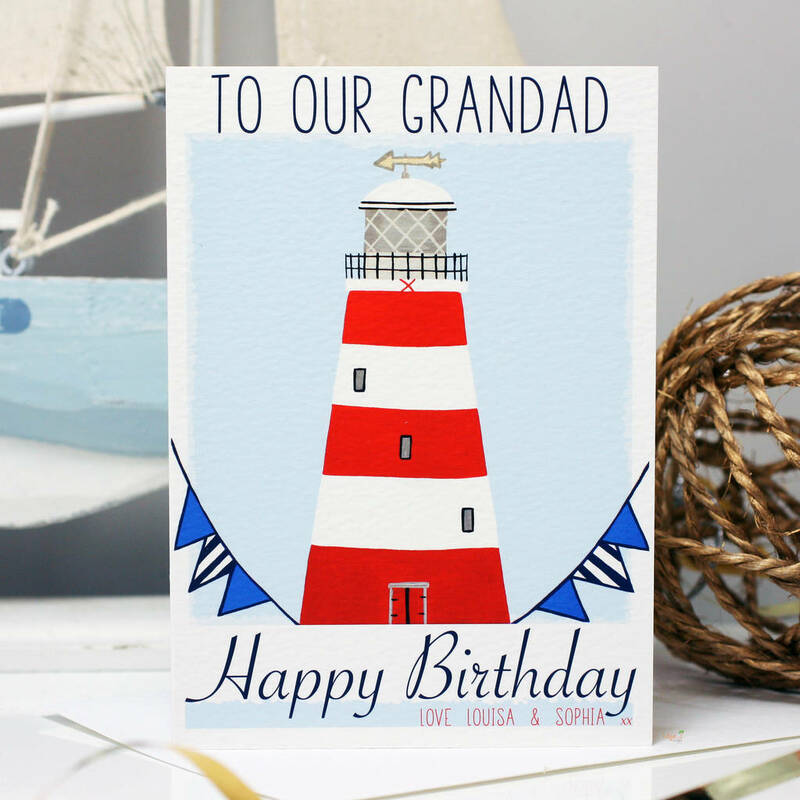 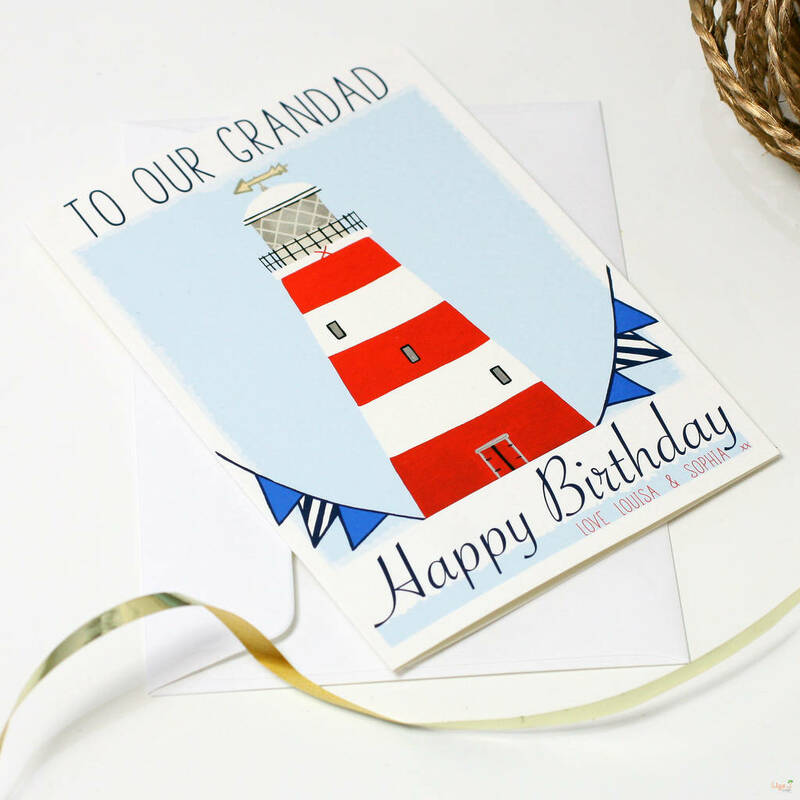 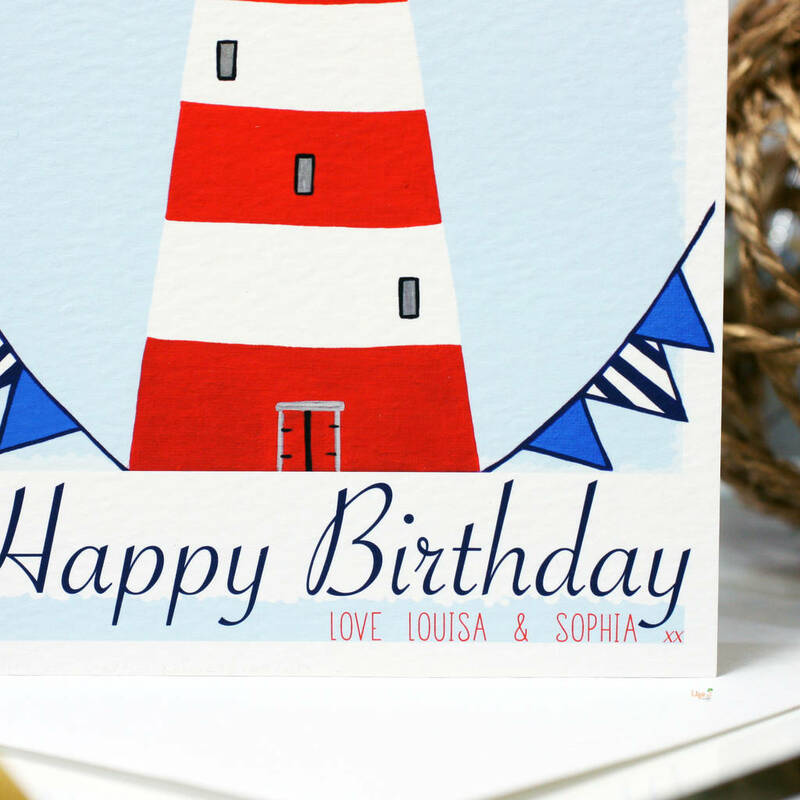 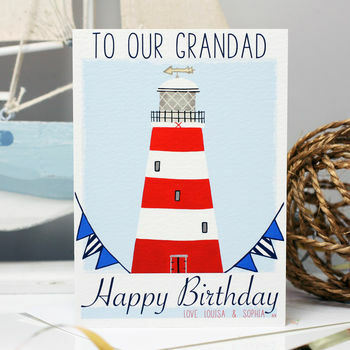 A nautical lighthouse birthday card for a male relation: grandad, grandpa, dad, daddy, step dad, uncle, brother, cousin, personalised with a child's name. 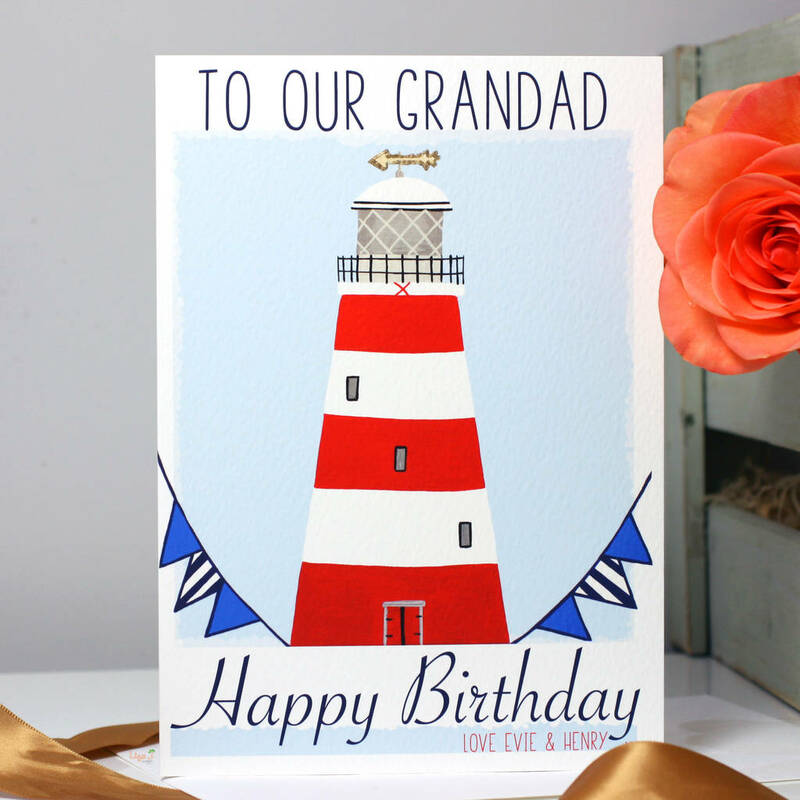 This greeting card is a lovely way of showing a male family relation you are thinking of them on their birthday, the recipient wording can be changed and have extra personalised on the front with a childs name(s). 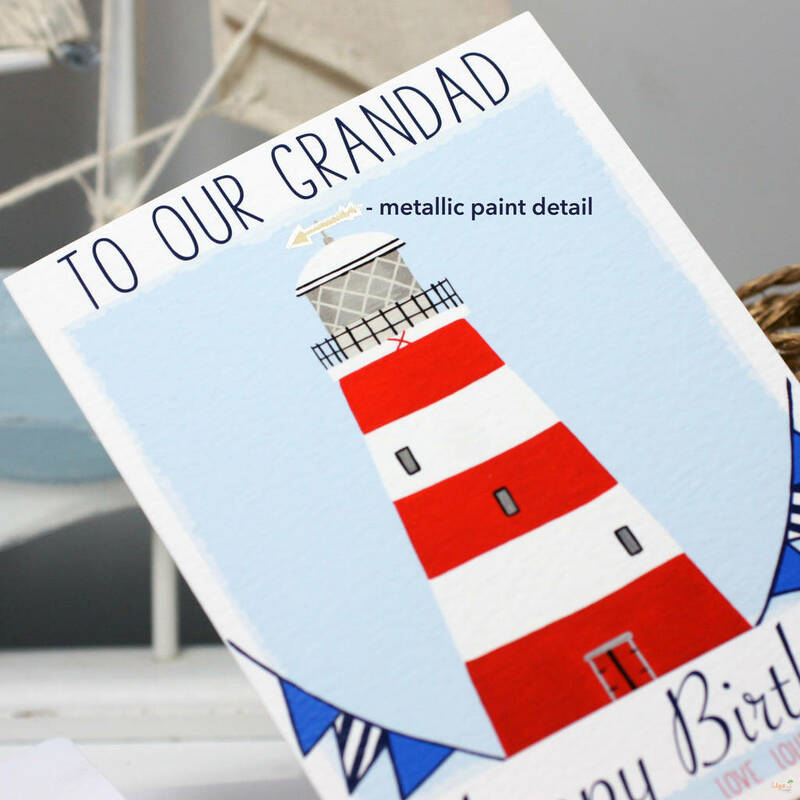 The front of the card is finished with a touch of hand painted metallic around the top wind vane. 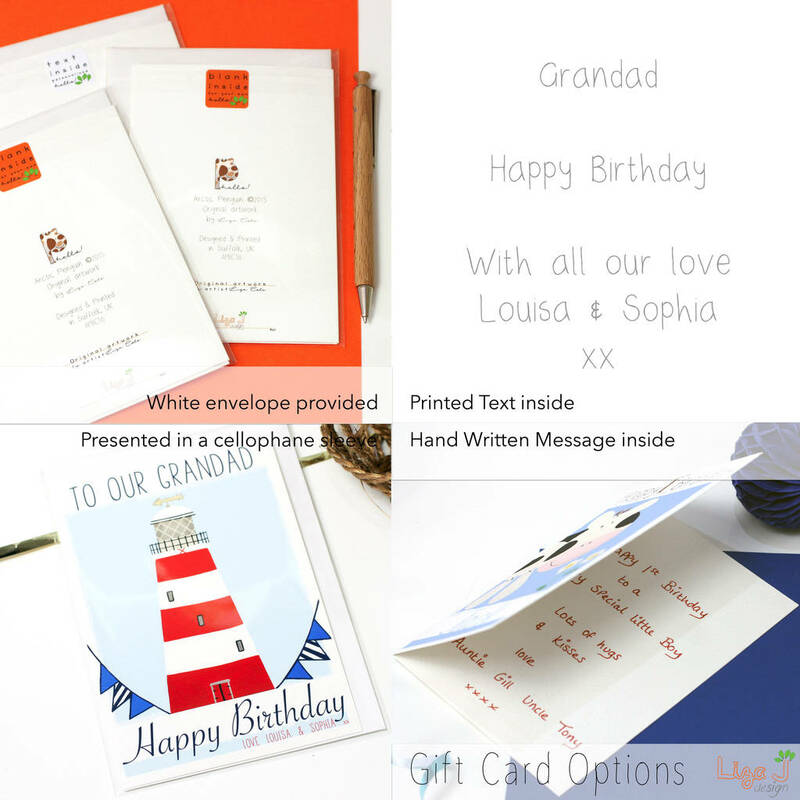 Printed onto textured fine art paper 310gsm professionally creased, supplied with a white textured envelope and presented in a clear cellophane sleeve.